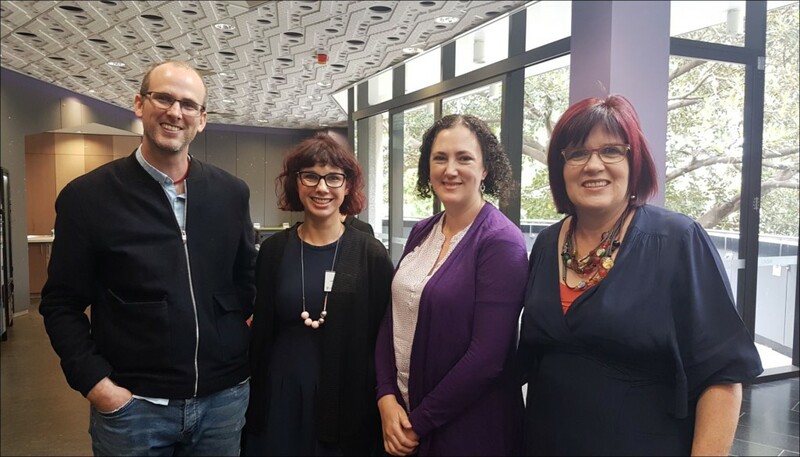 Academic staff from the Adelaide Law School attended the inaugural UNSW Legal Education Conference in December 2017. The theme of the conference was “Research in Legal Education: State of the Art?” and involved presenters from Australia, New Zealand, Hong Kong, Denmark, the UK, Canada, the US and Brazil. The keynote speakers across the two days were Professors Paul Maharg (York University, Canada), Fiona Cownie (Keele University, UK), and Carrie Menkel-Meadow (UC Irvine, US). Professor Maharg discussed the necessity of a systemic approach to legal education research, and emphasised the issues inherent in educational research when it lacks significant longitudinal studies and historical literature. He encouraged the audience to consider methods of interjurisdictional engagement with legal educational research, and to consider the methodologies employed in other disciplines, such as medical education. Professor Cownie reminded the audience that for legal education research to be valued, it needed to contribute to greater human understanding. With examples drawn from book reviews and journal articles in the past, Professor Cownie demonstrated that, at times, engagement by the academy with those developing legal education tools such as text books has been highly critical, but that, conversely, some criticisms of the academy have not changed in nearly 100 years. She provided historical infights into legal education scholarship, and what it is to be a legal academic, through careful evaluation of current literature. Professor Menkel-Meadow discussed some of the ‘big bang’ events in legal education in the recent past, such as experiential learning and transsystemic legal teaching, and asked whether legal education had been changed by them. Like Professor Maharg, she highlighted the lack of significant longitudinal studies, and suggested a greater need for the legal profession to engage with an understanding of why it exists, in order to see how it will continue to exist in light of technological advances. The three keynotes all highlighted the need for deeper engagement with planning and structure around legal education research, the importance of undertaking significant legal education research and the necessity of engaging in studies which contribute to the human experience in a real sense. Professor Maharg also live-blogged the conference, and many attendees’ immediate responses to sessions and speakers can be found on Twitter under the #unswlec tag. Three staff from the University of Adelaide presented on their specific focus within legal education research. Associate Professor Bernadette Richards explained her inter-disciplinary teaching which involves putting both medical and law students in the same classroom, working through the same scenario and sharing their learning. Associate Professor Peter Burdon’s paper looked at the extent to which the literature on legal education engaged with the political and economic factors that have influenced our universities and teaching environments. While at present the literature is predominantly apolitical and practice orientated, he argued that scholars could to a better job contextualising our work and creating spaces where we can uphold alternative values related to the public good and the need to prepare our students for democratic citizenship. Dr Jessica Viven-Wilksch’s paper took a comparative approach to examining legal education scholarship. Law and legal education is often associated to legal tradition of the legal system. However, clinical legal education, the use of case studies in the classroom and the use of technology are emerging themes in this literature, not just within legal traditions but also beyond. Through topical examples she showed the dynamic and trendsetting characteristics of legal education scholarship with a focus on Australia and France. She argued it is not viral, not a short lived trend but an ongoing transnational development. The conference concluded with a round-table discussion considering ‘where to?’ for legal education research, and highlighting systemic improvements which will need to be tackled at a policy and regulatory level, as well as individually. This entry was posted in Events, News and tagged inaugural UNSW Legal Education Conference, Legal Education. Bookmark the permalink.